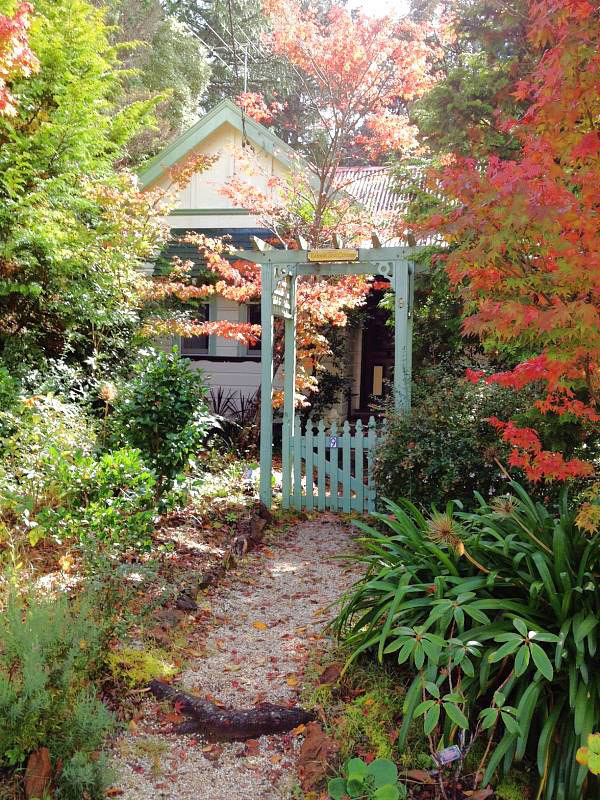 The rare magic of the Blue Mountains can be fully experienced whilst staying at this exquisite turn-of-the-century cottage. Nestled within a totally private garden and only a short walk to the centre of Leura village, it provides the perfect venue for a romantic, relaxing and indulgent stay. "Lemon Tree Cottage" can accommodate two to four persons in supreme comfort and guests have exclusive use of the cottage. 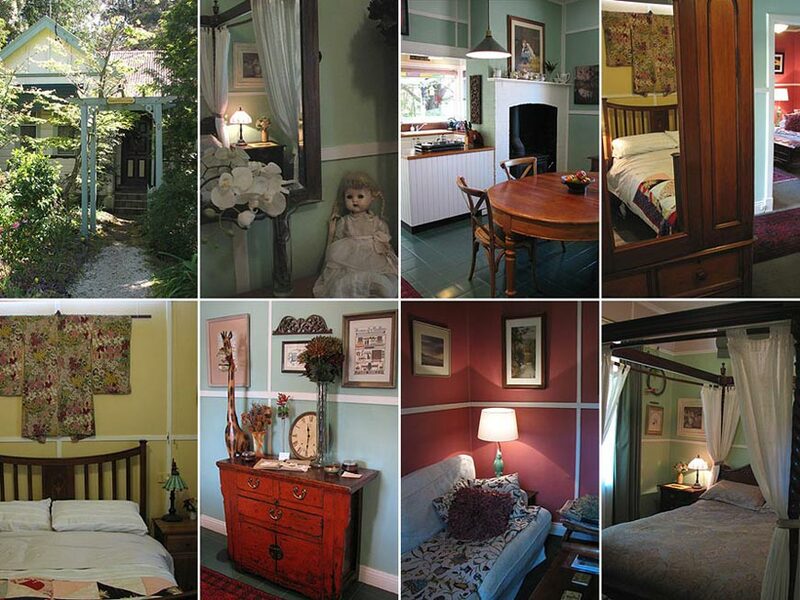 It is furnished with quality antiques and period pieces with many works of original art. Attention to detail is our hallmark and our guests enjoyment is of paramount importance to us. Fully contained accommodation for 1 or 2 couples in extreme comfort. Cosy lounge room with gas log fire and huge plush sofa. Wood combustion fire in dining room. Double sided spa overlooking secret garden. 8 minute stroll to Leura village. Unique sculpture garden in private, secluded garden. Please click on small images to enlarge.